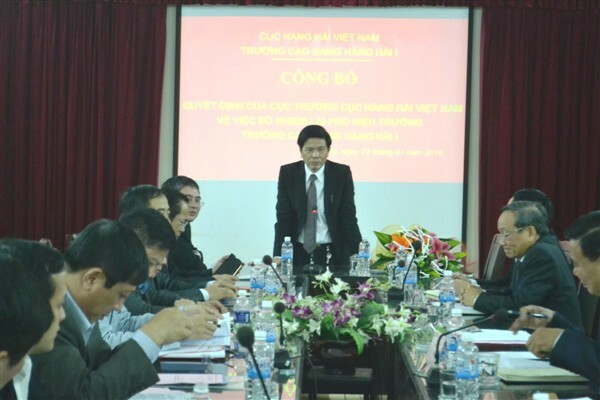 In the afternoon 12/01/2016, within the business visit with Maritime College No.1, Dr. Nguyen Xuan Sang – Head of Vietnam Maritime Administration granted the Decision on Appointment of Mr. Dinh Gia Vinh to continue holding the position of Vice Rector of Maritime College No.1 in front of the Delegation of Vietnam Maritime Administration and the leaders of Departments of Maritime College No.1. Addressing at the meeting, the Head of Administration recorded the great contributions of Mr. Dinh Gia Vinh during the past time, at the same time, hoping him to continue making the best efforts to fulfill all the tasks and contribute more to educating and training human resources generally and the maritime industry particularly. Mr. Dinh Gia Vinh committed to make his best efforts along with the College so as to overcome all the difficulties. 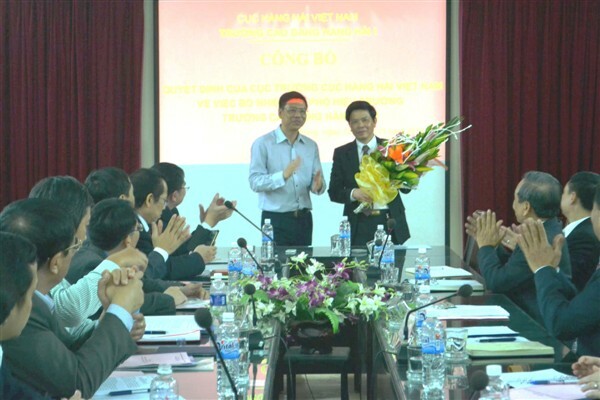 At the same time, he looks forward to receiving more supports from the Leaders of Vietnam Maritime Administration and the encouragement and cooperation of all the staffs in order that he can fulfill all the tasks.